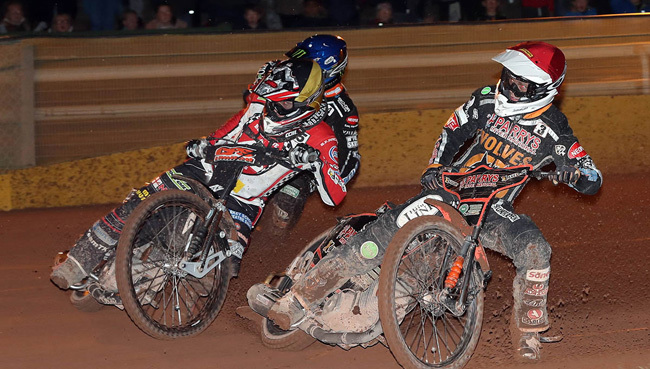 WOLVERHAMPTON gave their Elite League title hopes a huge boost with a 54-36 Grand Final first leg victory over Belle Vue at Monmore Green. 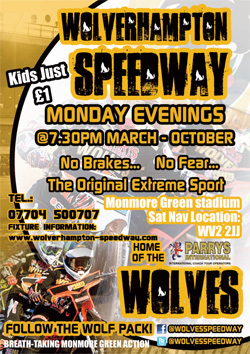 The Parrys International Wolves put in another solid team display, to gain an 18-point advantage ahead of Wednesday's second leg at the National Speedway Stadium. 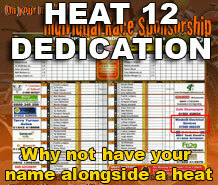 The Monmore men registered just one last place and restricted the Aces, who finished top of the regular Elite League standings, to just one heat advantage. Team boss Peter Adams says his side have given themselves a great chance of lifting the Elite League trophy for the first time since 2009, but insists there is still plenty of hard work to be done. "We're obviously very pleased and the team deserve a lot of credit to come away with such a lead," said Adams. "After last week against Poole I was a little bit fearful that we may have peaked too early, but the team proved me wrong on that one tonight and it was another impressive performance. "But the job's not done yet; we still have to go to Belle Vue and give a professional account of ourselves. "We know how strong they can be around their own circuit but that said, we'd still like to go there and win on the night. "We know what we've got to do and even if things didn't quite go to plan, an 18-point lead could well be a 21-point lead if you take the tactical ride into account. "However, the majority of our team know how to win races at the National Speedway Stadium and we're really looking forward to Wednesday now." Kyle Howarth put in a sensational showing at reserve as he dropped just two points to a Belle Vue rider. Jacob Thorssell rounded of his night with two huge race wins while Swedish compatriot Freddie Lindgren enjoyed another solid night at No.1. 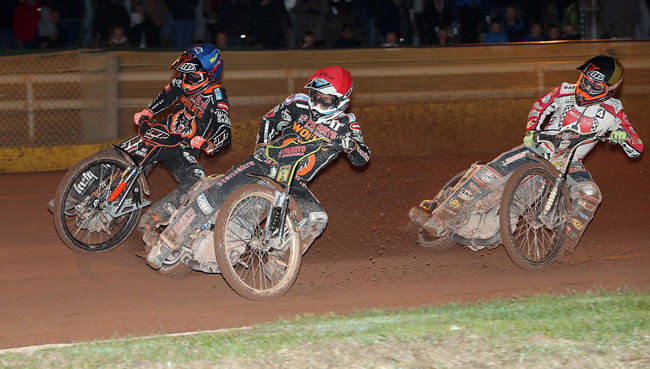 Sam Masters got his night up and running with back-to-back race wins while Tai Woffinden reached paid double figures once again. 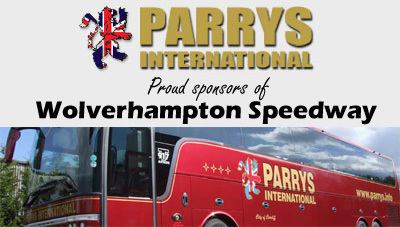 Peter Karlsson and Max Clegg also both provided key contributions as the Parrys International Wolves made it eight wins out of their last nine meetings. 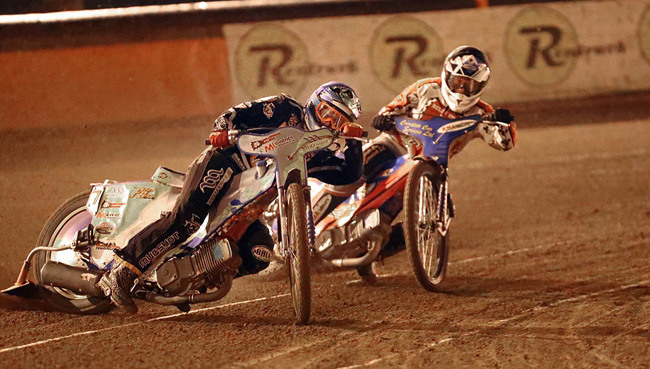 The second leg of the 2016 Elite League Grand Final takes place at the National Speedway Stadium, Manchester this Wednesday (7.30). 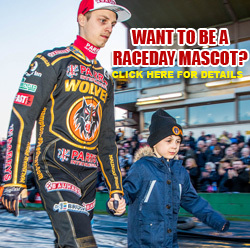 WOLVERHAMPTON 54: Kyle Howarth 12+1, Jacob Thorssell 9+2, Freddie Lindgren 9, Tai Woffinden 8+2, Sam Masters 8, Peter Karlsson 4+3, Max Clegg 4+1. BELLE VUE 36: Craig Cook 10, Steve Worrall 8, Scott Nicholls 6, Richie Worrall 6, Matej Zagar 5+1, Max Fricke 1, Joe Jacobs 0.